San Francisco Forest Alliance is proud to partner with other environmental organizations to support the Climate Rally in the Bay Area. 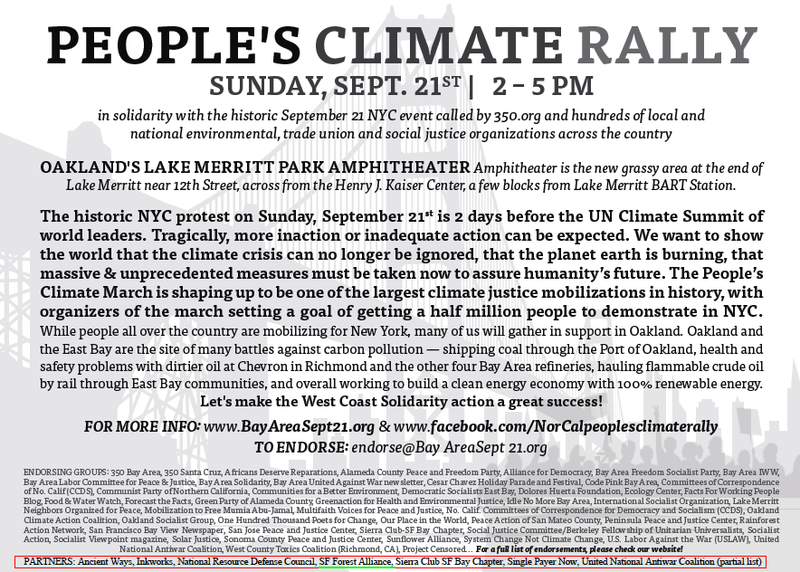 CREDO describes it as “the largest climate mobilization in U.S. history.” The main one is in New York, on September 21, 2014. But there’s a rally in the Bay Area too, at the same time, in sympathy with that rally. It’s in Oakland, California, and you’re invited. 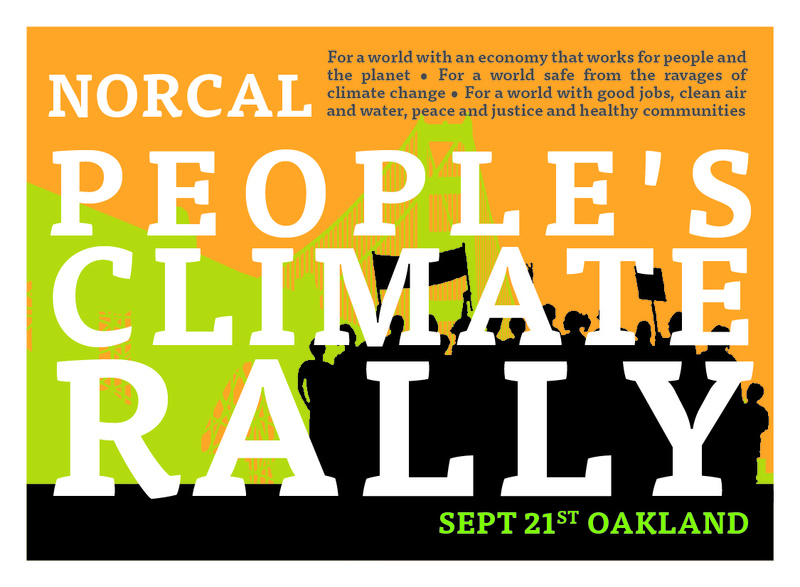 The Rally will be from 2 pm to 5 pm at the Lake Merritt Amphitheater. When: Sunday 21 Sept 2014 at 2:00 – 5 p.m. It will be a family-friendly event, on the shore of Oakland’s Lake Merritt, just a few short blocks from the Lake Merritt BART station. Details in the picture below (click on it to make it larger). If you’re concerned about climate change, please join thousands of others and participate in this historic event.